Tic Tac Trance #039 Replay available! 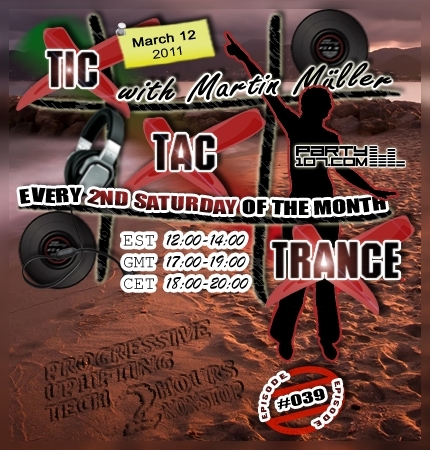 The latest and hottest tunes in progressive, uplifting and techy trance will be revealed in episode #039 of Tic Tac Trance on March 12, 2011! You can expect a nonstop 2 hours mix which includes mixes and remixes of artists like Airbase, Alex M.O.R.P.H., Hiroyuki Oda, Activa, Carl B and many many more! Don’t forget to tune in!